We can successfully restore your blower back to its original working condition with our Hibon blower repair services in Orlando, FL. At Pat’s Pump & Blower, we recognize Hibon as a leading brand in the blower and exhauster manufacturing industry. If you use a Hibon blower, you likely enjoy the efficient way this piece of high-quality equipment operates. Unfortunately, after continual usage or a workplace incident, your blower may no longer work like it once did. This is where we come in. At Pat’s Pump & Blower, we can successfully restore your blower back to its original working condition with our Hibon blower repair services. For the past two decades, residents of Orlando, Florida and the surrounding areas have been turning to us for Hibon blower repair services. When you get in touch with us to do a repair, we guarantee we will be able to figure out what’s wrong and know exactly how to fix the problem. We won’t waste your time and will treat your need for Hibon blower repair as a priority. 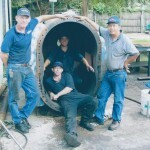 Although we are successfully able to repair Hibon blowers, the reason we have gained our reputation for effective Hibon blower repair services is because we strive to provide an unparalleled level of customer service. We do this by being available to you 24-hours a day and offering onsite inspection and repair. At Pat’s Pump & Blower, we want to help you protect the investment you’ve made in your Hibon blower for many years to come. For Hibon blower repair services, give us a call today.